United Faith Church is a non-denominational, Bible-believing church in Barnegat, New Jersey. The church is dynamic, its congregation diverse, its worship vibrant, and its teachings relevant and prophetic. United Faith Church in Barnegat, New Jersey was founded in 2006 by Pastor Jerry and Pastor Janeth Santiago after serving in ministry for more than twenty years. In alignment with their commitment and experience in church planting, the pastors received the call of God to begin a new work in Barnegat with a strong emphasis on biblically-based teachings. Pastor Jerry and Pastor Janeth Santiago believe in the power of the inerrant Word of God to transform lives and bring healing and restoration. Pastor Jerry and Pastor Janeth Santiago’s central focus in their ministry is to transform the next generation by modeling the life of Christ and through intentional discipleship. United Faith Church assembled for the first time in April of 2006. The service was held at the home of Pastor Jerry and Pastor Janeth Santiago with their family. They worshipped God and a sermon titled The Goodness of God was preached. The power of the Lord moved mightily, and the Spirit of God swept through the room. The name, United Faith Church, was given to Pastor Janeth Santiago while seeking the Will of God on a retreat. The pastors established United Faith Church to unite many believers in the love of God. On May 28, 2006, United Faith Church held its first public service under a tent. Pastor Janeth Santiago preached a sermon titled, Loving the Lord Your God, and the Holy Spirit moved powerfully amidst the people. From that time on, United Faith Church committed itself to making disciples who are grounded in the Word of God. The church grew to become a spiritual home to many more seeking Jesus Christ. In 2008, United Faith Church purchased a five acre tract of land, and in less than three years, members paid for the property in full through the church’s Prepare the Way building fund. In 2014, United Faith Church plans to begin the construction of a 10,600 square foot sanctuary to house its services and various ministries. United Faith Church has a vision to raise up and educate youth and the young at heart to love and follow the Lord Jesus Christ, leaving a legacy that will impact generations to come. The vision of United Faith Church focuses on personal restoration to God, dynamic and intentional discipleship, and the establishment of a strong biblical foundation. This vision is accomplished through the implementation of various ministries established by United Faith Church, including the development of the Righteous Leadership Program. Pastor Jerry and Pastor Janeth Santiago believe that God has anointed them to train pastors and leaders through this three-year program, in which students are taught theology, doctrine, church history, and leadership, along with many other courses that are essential to success as a leader. The Righteous Leadership Program disciples those who are called to ministry and equips them with the Word of God to bring the Gospel to their community, surrounding areas, and to the nations. Throughout their ministry, Pastor Jerry and Pastor Janeth Santiago have carried out the mandate to make disciples by partnering and assisting in church plants in the United States and abroad. In 2003, they planted a daughter church in Tegucigalpa, Honduras – which is now called Iglesia Fe Unida. United Faith Church upholds the mission to make disciples firmly founded on the Word of God through its involvement with its daughter church, as well as with other church plants and missions in Central America, the United States, Central Asia, and South Africa. United Faith Church believes that God moves through His church to have compassion on all who are hurting and in need by providing food, medical, educational, employment, and housing assistance. The pastors of United Faith Church, Pastor Jerry and Pastor Janeth Santiago, acknowledge that the Church of Jesus Christ should be a place where the Spirit of God manifests. The worship services at United Faith Church in Barnegat create an atmosphere where people can encounter the powerful presence of God. The sermons are applicable, straightforward messages that are Scripturally-based and designed to lead people to knowledge of Jesus Christ as Lord. 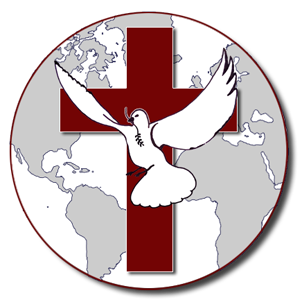 As a unified body of Christ, United Faith Church is like-minded in their desire to honor God. To learn more about United Faith Church in Barnegat, NJ visit unitedfaithchurch.org.